STRIKING new images of a radical but respectful transformation of Birmingham Moor Street station have been revealed by West Midlands Rail Executive (WMRE). The images are part of proposals to redevelop the station and improve links with Birmingham New Street and HS2 services at Curzon Street. 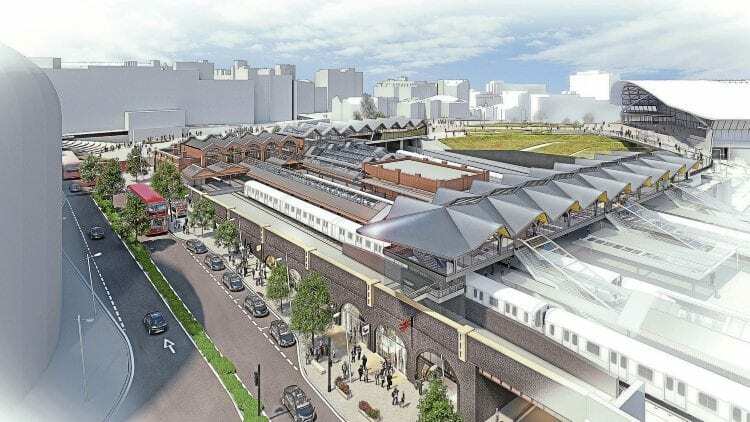 How Birmingham Moor Street could look: The 1914 entrance remains, with a new contrasting façade extending towards the HS2 terminus (seen on the right of the image). Across the centre will be a new walkway, which connects Moor Street’s expanded platform layout with the HS2 station. Below the walkway is a new entrance. The concourse area would double, two additional platform faces would be introduced, but the historic 1914 Grade II-listed entrance would be retained.